Test For "What Type of Investor Are You?" There are three types of investors. The test below will help you determine which you are. One type of investor makes a great trader. Others should speculate, but not much…. only in what they believe and never more than they can afford to lose. 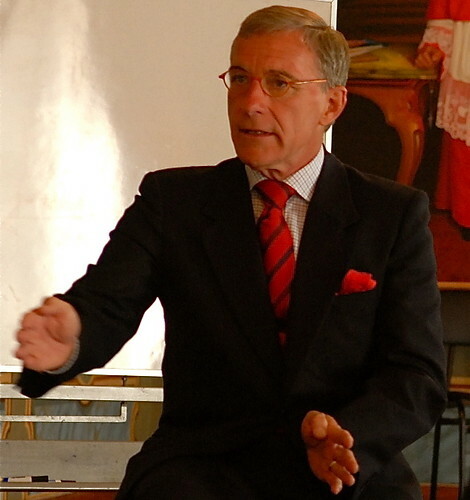 Others should not trade equities themselves or any other speculative investments… not at all. Getting to know your type may be the most important step you can take in creating everlasting wealth. The quick five minute test in this report can provide a great leap forward for your investing success. Most investors suffer from the performance gap. A majority of investors lose or make less money then the average in the stock market. There is innumerable research behind this fact. This rule really struck home many years ago when Merri and I were strolling in the dawn near this wonderful old hotel, The Tampa Bay Bel Mido, known as “The White Queen of The Gulf”. Built in 1897, it sat high on a bluff and combineed old world charm, from the antique-filled Henry Library to the Tiffany Ballroom with its priceless skylights of stained glass, to its private resort setting. 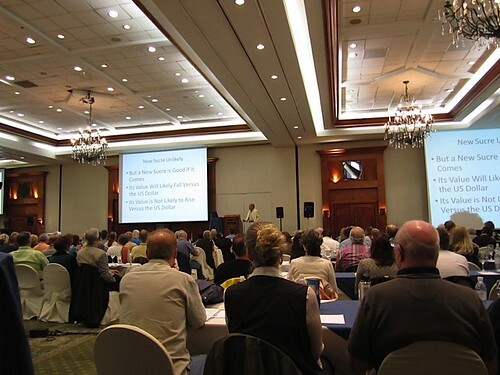 We were conducting a investing seminar at the Belleview-Biltmore Resor, a historic hotel on amp Bay. 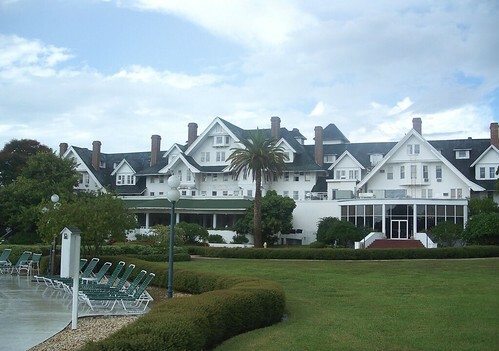 The 400,000 square foot structure was the last remaining grand historic hotel of its period in Florida and the only Henry Plant hotel still in operation when it closed in 2009. The building was said to be the largest occupied wood frame structure in the world. I will never forget this hotel because I learned perhaps one of the most valuable lessons there is about investing. As I arrived at the hotel to check in, even before I reached the registration desk, one of the delegates, a heart surgeon, approached me and vigorously shook my hand. I felt a glow as I walked away headed for the check-in counter of the hotel. (One always feels good having helped a client and friend.) I was happy that the doctor had made a lot more profit than I did. I am conservative with my own investments and had only borrowed two to one. This doctor had borrowed four to one and had held on during the yen rise. However, the warm feelings did not last. Still before I could check in another delegate, also a medical professional, collared me. It turned out he had chosen to borrow six to one. When the yen appreciated and he was faced with putting up substantially more money, he decided to cut his losses. Three investors (two doctors and myself) with similar backgrounds and exactly the same information. All had the same investment manager yet they obtained three totally different results! In the end your other investment manager (or managers) will never make you happy unless you have a belief and purpose that guides and manages them. In one example, a broker did a one year study during 2007. This is significant because in 2007 all the US stock markets rose all year… until the last month. 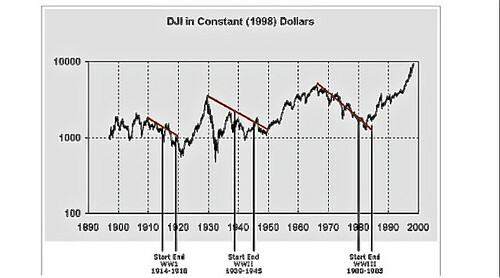 You can see in the chart below how investors were sucked into a slow rise starting in 2004, that sped up in 2007. Then the disaster began in December of that year. The returns of that broker’s research was of investments made only in the equity (without derivatives or leverage) markets. Look at those numbers… 73% lost money, 6% broke even and only 21% made a profit. Of course one study, by one broker, means little. The reality is that the percent of investors who lose is worse than most investors think. Some estimates, find that up to 95% of investors lose money in stock markets. They make bad investment decisions based on emotional entry and exit decisions. Only 5% to 10% of people who invest & trade in stocks earn handsome profits from stock markets. This ratio of loss is due in part because investors don’t know what type of investor they are. Losers can become winners if they invest in ways suited to their personality. The global stock market supplies an average long-term return of around 11%. If that return were randomly distributed, it would be hard for most investors to lose over the long term. The reason so few win and so many lose is because stock price increases and drops are not randomly distributed. There are long time-periods in which valuations steadily rise (with small drops mixed in). During these rising times, valuations fall. G0od shares become worth less but priced more. For example share prices in the US stock market rose for 18 years running from 1982 through 2000. Very few investors suffered long-term losses over those years. But prices had risen so high by 2000 that valuations were such that stock investments were likely to provide a NEGATIVE 10-year return. In some markets they did! The chart below from www.finance.yahoo shows, that after it crashed in 2000, the NASDAQ (light blue) did not reach its 2000 high until 2o14. Most investors invest in stocks when prices are high and stock values are low. Stocks may appear attractive, because there have not been losses for a long time, but logically, this is when they are least attractive. The lure of seemingly never ending price increases appeals to humanity’s second worst weakness… GREED. This is the way that stock market manipulators set up investors to lose. They manipulate humanity’s very worst weakness… FEAR. 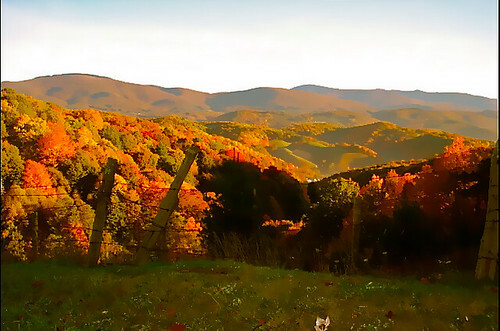 The market lets prices slowly rise and rise… and rise. Then prices drop… suddenly. What would you do if the Dow dropped 5,000 points tomorrow? I know how I would react because I remember all the phone calls that came Oct. 19, 1987. The Dow Jones Industrial Index had crashed more than 20% in one day. When it comes to investing… there is always risk. We all know that markets will rise and fall, but exactly when is a mystery. We know that every stock has ups… downs and turning points. Yet we never know the exact day. Nor can we say precisely which shares will rise… which will fall… for how long… at what time. The price movements of equities are ruled by laws of nature that we can never totally know. When it comes to investing… there is always something we do not know. There are, however, three things we do know about the stock market. #1: We can expect 11% to 12% annual return in the stock market as a function of global nominal GDP growth and long term earnings growth plus risk premium. #2: Markets move short term based on emotion and are unpredictable. Markets move long term based on value and are predictable. #3: To attain higher growth you must either increase risk or trust luck. We should not count on extra ordinary returns. We need to be realistic… and most humans are not! Humans have a bias against risk. When investments we own drop in price, feelings that we’ll “get killed” for holding our bets are natural, even if the share becomes a better value. Instead of buying more, most investors will sell. Panic washes over our entire bodies. This emotion creates a performance gap. This performance gap is very real. Investors overall earn less than the sector they invest in. This is true even for professional investors. The chart below from Morningstar.com shows how over ten years managers of funds under performed their sectors. We should face this fact and prepare for it. That’s what the test below is for… to let us know who we are and how we best invest to avoid the performance gap. What we do know is the value of the US market is low, compared to its history and to other stock markets around the world. The numbers below are from the Keppler Asset Management Developed Market analysis from January 2019, a source of data we follow in our ongoing study of global stock markets (called the Purposeful Investing Course (Pi)). This analysis shows that the price-to-book of the MSCI US Share Index at 3.01 is still well below the super inflated price to book of 4.23 in December 1999. Yet compared to world stock prices (price to book 1.54), US prices look high. The average US dividend yield of 2.20%, compared to world yield of 2.76% looks low. Both prices to book and dividend yields are especially distorted compared to the top value price to book of 1.30 and dividend yield of 4.20%. These numbers show that a bear will again descend on Wall Street or at least US shares will underperform global shares in the years ahead. We just do not know when the shift will equalize values. All stock markets have risk and volatility, buti f you invest in the top ten good value markets (Developed Markets Top Value Portfolio above), you get the best value. Getting good value is important because a crash can happen in minutes…. even tomorrow… or any day. We each need a plan when the crash takes place. Create a plan based on math based on good value economic data that suits your investor type. When the crash comes, stick to you plan. Do not panic. Turn on the auto pilot and normally add to your position. Do not let feelings influence you too much. Use logic. Use Time! Combine Value with time. Make the greatest asset in your portfolio time. Time plays one of the most important parts of investing success, but is so much more. In the end, it’s all we have…. time, our most valuable gift. Dr. Suess tried to tell us this when we were young. Controlling investment time horizons is critical to reducing risk and increasing profit. Knowing and expanding our investment time horizons also gives us more time and reduces our stress. 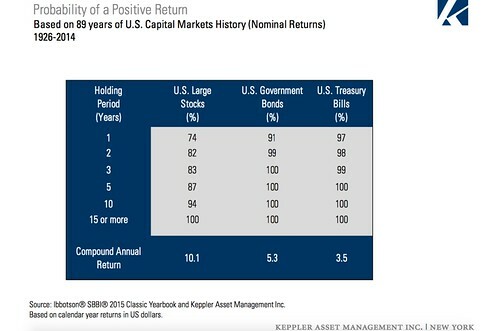 Keppler Asset Management has done an astounding study on the importance of time (not timing) in investing. We track Keppler’s analysis that covers the value of all the stocks in 46 equity markets (23 developed and 23 emerging). Many of these markets have well over 1000 shares. To stay on top of all these stocks and markets requires a continual update and analysis of thousands of shares. Trying to keep up with that data load is enormously expensive and stressful. 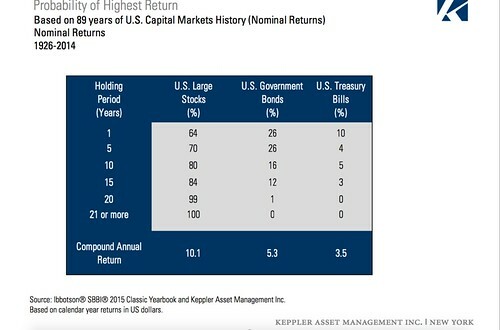 Keppler’s data (he has been tracking these shares for over 20 years) saves us endless hours of time. 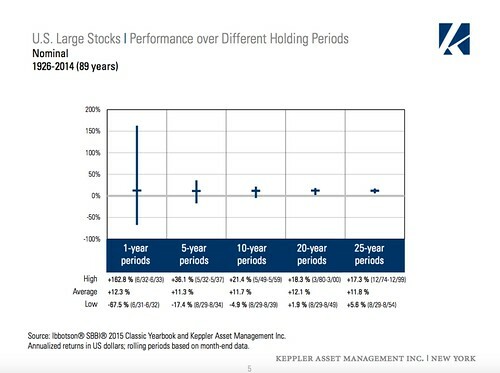 The chart below “US Share Performance Over Different Holding Periods” shows that you can expect to earn 11% to 12% per annum, with an equally weighted globally diversified portfolio if you let time work for you. However, to be sure you get that return and to be sure you won’t lose instead of profit, you need to control your time for as long as ten years. This chart shows, that over the 89 year period, the best one year indices’ performance was 162.8%. However the worst was a -67.5% loss in one year. The average return over the 89 years was 12.3%. 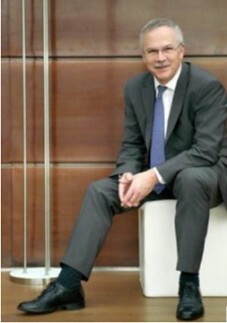 The story changes considerably for a five year holding period. The highest return is down to 36.1%, but the worst loss was only 17.1%. The average per annum return was 11.3%. Time reduces risk if you have a diversified portfolio. A potential decline in the price of a stock does not ultimately raise the risk if the decline is temporary and the probability of having to sell during the decline is low. This diagram shows that equity investments can fluctuate widely from year to year, offering potential for high returns but also high risk. As holding periods become longer, the fluctuations decrease. The performance between stocks and fixed interest investments also widen. The fact that equity returns fluctuate widely in the short run and significantly outperform bonds in the long run illustrates the importance of the investment time horizon. 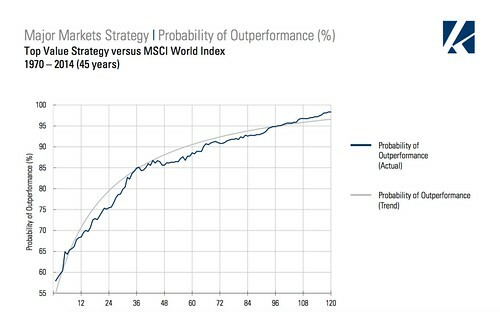 The chart below shows that the longer your time horizon, the better your odds for a positive return. This chart shows how time affects the odds of the highest return as well as of just a positive return. These charts show that investing in a five year period is much safer than a one year period. If you have a 15 year time horizon, the risk of loss, even in stocks, is almost negligible… if you have a diversified portfolio. What is our time horizon? What average return do our investment alternatives yield over comparable periods of time? How we deal with time depends on the type of investor we are. Some of us need investment advisors. Others do better with mathematicians. Many need a psychologist. Getting the correct answer to this question “What Type of Investor Are You” may be the most important step you can take in creating everlasting wealth. Here is a five minute test… that can mean everything to your investing success. 1) In the last 12 months have you speculated more than you could really afford to lose? the same feeling of excitement? 3) In the last 12 months, if you lost on an investment, did you go back another day to try to win back the money you lost? 4) In the last 12 months, have you borrowed money or sold anything to get money to invest? 5) In the last 12 months, has your investing caused you any health problems, including stress or anxiety? 6) In the last 12 months, has your investments caused any financial problems for you or your household? 7) In the last 12 months, have you felt guilty about the way you invest or what happens when you invest? 8) In the last 12 months,have you lied to family members or others about how much you made or lost in your investing? 9) Is investing a hobby for you? 10) When you invest, do you get excited? 11) Have you lost overall on your investments over the past ten years? Be honest with yourself! Take the test before you read further. Do not look below this picture as it is here to block your view on how to score. Take the test before you go forward. Then look below. Your score will help you see the forest despite the trees. Give each Never of No answer a zero… each Sometimes a one and each Often or Yes answer a three. If your score is eleven or lower… if you enjoy tracking your own portfolio and if you have time, you may consider being a Value Trend Investor. Value Trend investors invest good value based ETFs and good value shares in good value markets, but buy and sell these shares based on their short term trends. Value Trend investors continually maintains strong, stop loss positions for protection. If your score is ten to 12 to to 22 you may consider being a longer term Value Hold Investor. Value hold investors invest in ETFs n good value markets and good value shares in good value markets but mostly buy and hold for the long term riding through the shorter term trend ups and downs. If you score above 23 to 33 consider being a Value Managed Investor. Value Managed investors are most likely to succeed when they work closely with a fund manager (such as ENR Asset Management) makes decision for the Value Managed Investor or who provides recommendations on what and when to buy and hold values shares . How the Purposeful investing Course helps you. The Purposeful Investing Course (Pi) is NOT about fast moving, speculative stock and currency trading. Pi is about slow, worry free, good value investing from finding good value, but also includes advice from trend analysis and value investment managers. Pi teaches three systems, on for trend investors, one long term value holders, and one for managed investors. See how to learn all three systems in a no risk trail offer below.